Shingles? Hepititus B? Flu? HPV? None of these are welcome visitors to your body, but all are fairly common diseases. Living Room Pharmacy has two staff pharmacists certified by the BC College of Pharmacists to administer vaccines. There is a nominal fee for this service, but many insurance plans will cover the cost of the vaccination. A doctor's prescription is required for most vaccinations, except influenza. 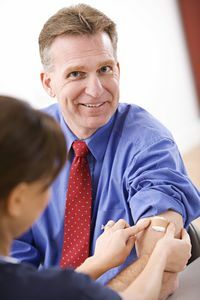 All BC seniors and citizens with compromised immune systems qualify for free flu vaccines every year, so be sure to look out for our flu clinics in the fall, or click on the special offer/newsletter button at the bottom of this page for an email notice of our next vaccination clinic. Call us to make an appointment for a vaccination.